Having gotten to the start of episode 131 of One Piece earlier this week, I'm taking a brief hiatus so I can catch up on my Naruto Shippuden. On the first of February I will resume my One Piece journey, but for now I have about three seasons of One Piece to blog about. Rather than making separate posts for each one I've decided to combine since this series is so long. A post per season would just be overkill. Although the first season contained 62 episodes and multiple story arcs the second season only contains fourteen episodes and three and a half story arcs. The first one we come to is the conclusion of the Reverse Mountain arc which was a two episode arc in the first place. After that we have episodes 64-67 for the Whiskey Peak arc. This arc provides a lot of the set up for the Alabasta arc that takes place later on in season four so it's certainly worth paying attention to. The fight between Luffy and Zoro is also worth paying attention to simply because... Well, who hasn't wanted to see Luffy and Zoro fight? 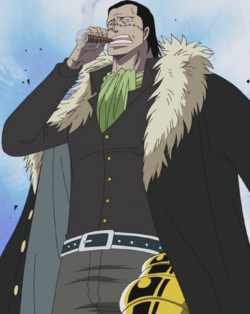 We also get introduced to another member of the Straw Hats... although you may not believe who. Hint: it's a villain. Episodes 68 and 69 are a side story that tell us about Coby and Helmeppo. Not sure if you remember them, but we met them way back during the earliest episodes of One Piece. So it's cool to revisit them. Episodes 70-77 bring us to the Little Garden arc and shows an island where two giants have been fighting for a hundred some odd years. That one was really cool even though Mr. 3 was kind of lame. Although for some odd reason Mr. 2 seemed kind of cool to me. Yeah... I don't know what the hell is going on with that, either. While the second season isn't quite as cool as the Arlong Park arc it is at least filler-free. Season three consists of episodes 78-92. 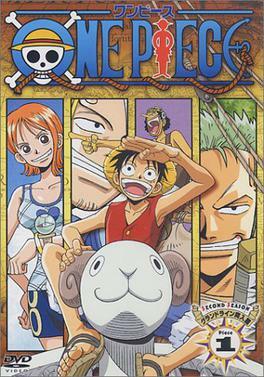 After their adventures on Little Garden the Straw Hat crew journeys to Drum Island in search of a doctor for Nami and encounter the Wapol pirates. This arc introduces the next member of the Straw Hat pirate gang so that's certainly a reason to watch this one. Episode 92 actually starts off the Alabasta arc that resides in season four. The Alabasta arc consists of episodes 92-130 and all but episode 92 make up the fourth season. If there's ever a reason you need to be reminded of why One Piece is fantastic then the Alabasta arc is a pretty damn good reason. It's not without its flaws, though. Episodes 93, 98, 99, 101, and 102 are all filler. These filler episodes really do bring the Alabasta arc to a screeching halt while it is supposed to be setting up and building the suspense. My advice is to either skip through the filler episodes or just force yourself through them because the rest of Alabasta is really, really good. This arc also introduces us to Luffy's brother Ace and skipping the filler makes things interesting because the Ace takes his leave of his brother during a filler episode. At the end of 102, I believe. In the manga he actually took his leave of the Straw Hats sooner. So if you skip the filler just keep that in mind. In episode 100 he's there, but in 103 he's not. 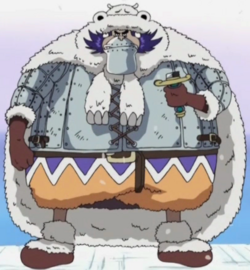 The end of the Alabasta arc introduces us to yet another Straw hat pirate and this character in particular is one you probably won't guess unless someone has already spoiled it for you. All in all, I can't wait to resume the series, but episodes 131-143 are all filler and I'm not sure if I can sit through all of that. I might just skip it. I'll think about it.